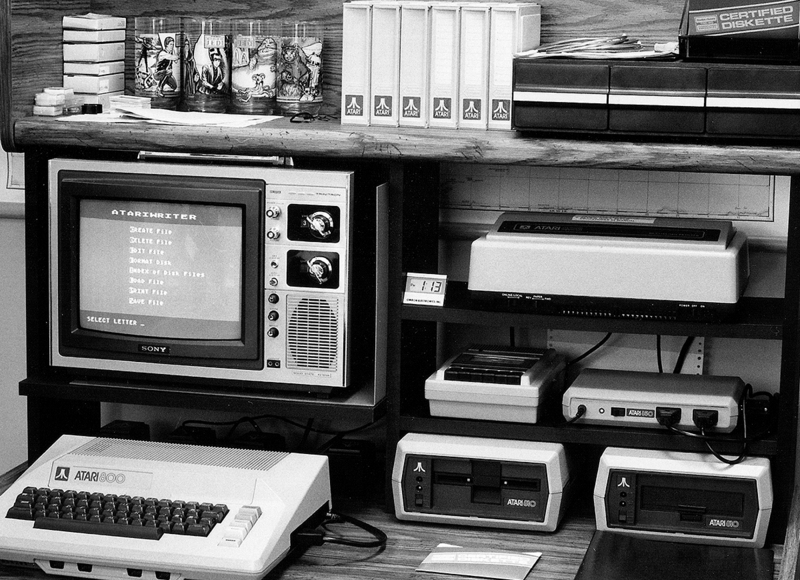 Ok, so remember that last post about the old photo of an Atari 800 on a desk from 1983? The one that I said reminded me so much of the old Atari 800 I grew up with? The one that I said that I was pretty sure my parents had walled off as a disaster area? Yeah, well, my memory was correct, and my parents are awesome. 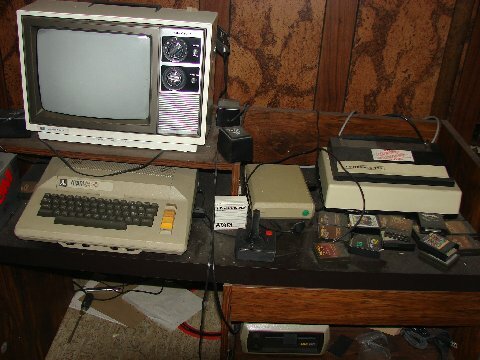 They just sent me a photo of the desk, taken today. See why I saw some similarities? Gotta love the wood paneling, right? Ok. So mine’s a bit messier… but I can blame that on 25 years of usage… right? Er… probably not. Next step will be turning on the Atari 800 and seeing if I can coax it to do something next time I’m at my parents’ place.